﻿ How Driverless Cars Avoid Pedestrians and Cyclists - Are We Safe? People are terrible drivers. We’re not just talking about the jerk who swerved into your lane this morning, but humans in general. 32,719 people died in car crashes in the United States in 2013, according to the Insurance Institute for Highway Safety. Of those, 4,735 were pedestrians and 741 were cyclists. And you can’t blame the weather. In the vast majority of vehicle crashes, human error is to blame. “We’re flawed organisms, barreling around at high speeds in vessels covered in glass, metal, distraction, and death,” as Matthew Inman, creator of webcomic The Oatmeal, aptly puts it. There’s a solution on the horizon: driverless cars. The first ones may arrive on public roadways within five years, Ford’s CEO recently predicted. Here’s a closer look at how they work and if they’re really safer for pedestrians. While several automakers are developing vehicles with some degree of automation, the one that has gotten the most media attention isn’t a traditional automaker at all. 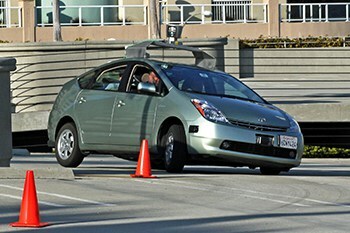 In 2014 Google began testing small, electric driverless cars on the roads in Mountain View, California. Their complex software is guided by GPS, cameras, radar and lasers. The front of the car is made of a foam-like material, in case the car hits a pedestrian. And so far, they’ve worked like a charm. Inman wrote about the experience of traveling in one of Google’s prototype driverless cars. The ride was far from exhilarating, he wrote, as the cars were programmed to act like “nervous student drivers” with a maximum speed of 25 miles per hour. But it was also smooth and precise. How driverless cars work is tightly tied to where they’re driving. For the Google car, engineers have developed a super-detailed digital map of Mountain View, The Atlantic explains, that includes details as miniscule as curb heights. That means the car’s software doesn’t have to analyze the whole world; it just has to find the ways in which the real world differs from the map, like when a light’s turning yellow or a pedestrian’s crossing the street. Are driverless cars safer for pedestrians and cyclists? Perhaps the real question is, could they be any worse than human drivers are now? A driverless car has a few big advantages. It can pay attention to everything. It never gets distracted, angry or impatient with other users of the road. To a human driver, a busy city street looks like chaos. To a driverless car, it’s all quantifiable and predictable data. It knows that a gesturing cyclist will turn left. Its radar can see people obscured by bushes or traffic barriers. It can even read hesitation. During Inman’s ride, he observed an interesting interaction between the car and a pedestrian who was standing close to the curb. Because the pedestrian seemed as if he were about to step into the street, the car hesitated before turning. Both person and car stayed still for a moment, then the car took its cue and turned. But can a driverless car avoid pedestrians every time? That remains to be seen. The University of Michigan has just built a 23-acre fake city where the vehicles can be tested with robotic pedestrians and cyclists. Carmakers are lining up to see what their cars can do. Automakers are now debating which path to follow: introducing vehicles with “autopilot” functionality that may make driving easier and safer, or creating entirely autonomous vehicles that need no human input at all. This choice has huge implications for the world economy, Chunka Mui writes in Forbes. If the world moves toward self-driving vehicles, we might all ride in driverless taxis instead of buying our own vehicles, destroying the car-sales and car-rental markets. What about safety? An MIT-Stanford study calculated that Singapore, a city of 5.5 million, could have all its transportation needs met by a fleet of 250,000 robotaxis. The city now has approximately 800,000 passenger vehicles on the roads. Such a drastic reduction in vehicle traffic would most likely make the streets safer for anyone on foot or on a bike. 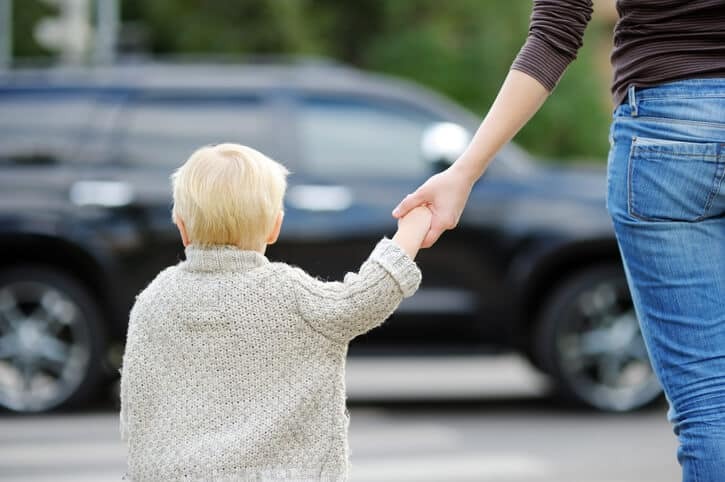 A Mother Jones article envisions “a golden age for pedestrians” once driverless cars become widespread, in which people could safely step into streets or even freeways and count on cars to avoid them. The Guardian puts forward another vision, a world in which robocars rule and pedestrians are tightly restricted so that they don’t get in the way. Time will reveal which scenario comes to pass.